Reviewing different products made by one chocolate manufacturer is always interesting. Because some of them create distinct flavor profiles, where others tend to surprise you with every different origin. And today we sample an origin I haven’t tried before. Chiapas is a region in Mexico. This coastal area borders Guatemala and hide centuries of cacao history as the Mayas already knew about the brown gold. 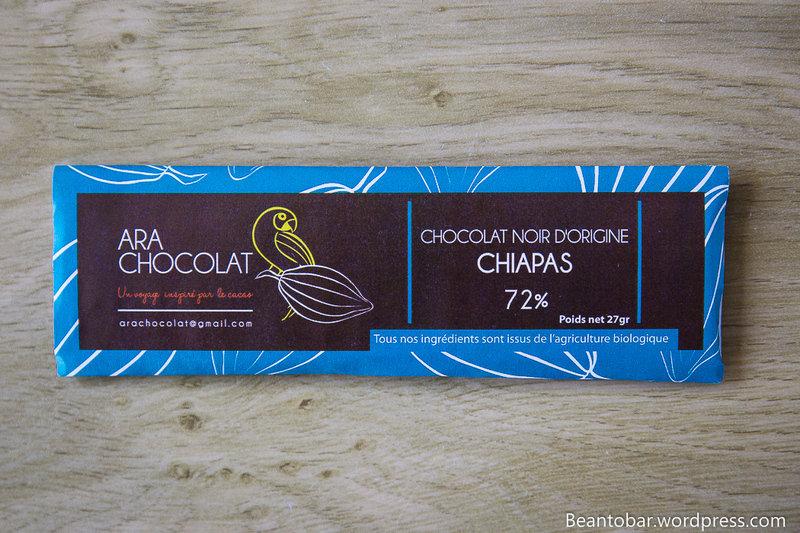 Ara Chocolat transforms the delicate cacao from this far away region into their special little bars. 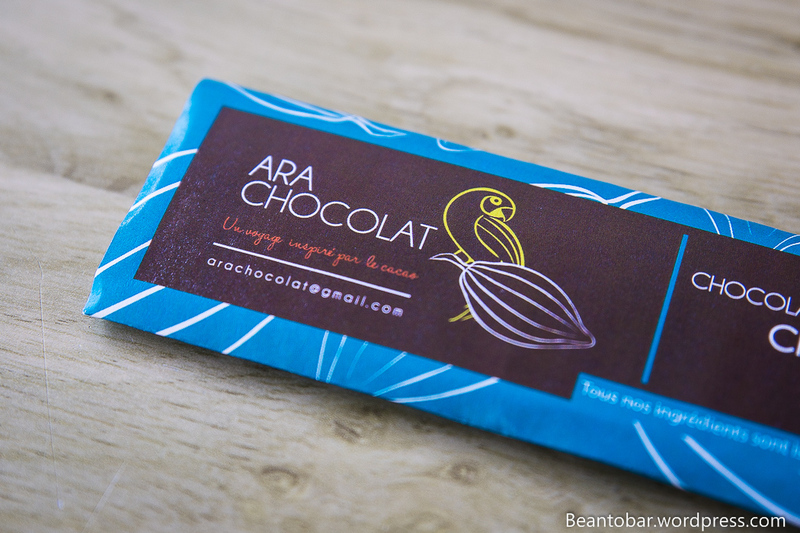 The Paris based company Ara Chocolat is working hard to get noticed in the origin chocolate world, and I must say I’m pretty excited to try this bar, after my past experience with their Madagascar chocolate. The bar is once again not a bar at all, but 5 little pieces neatly packed together. I still like this approach, as you don’t need to break pieces of a block to take a bite. 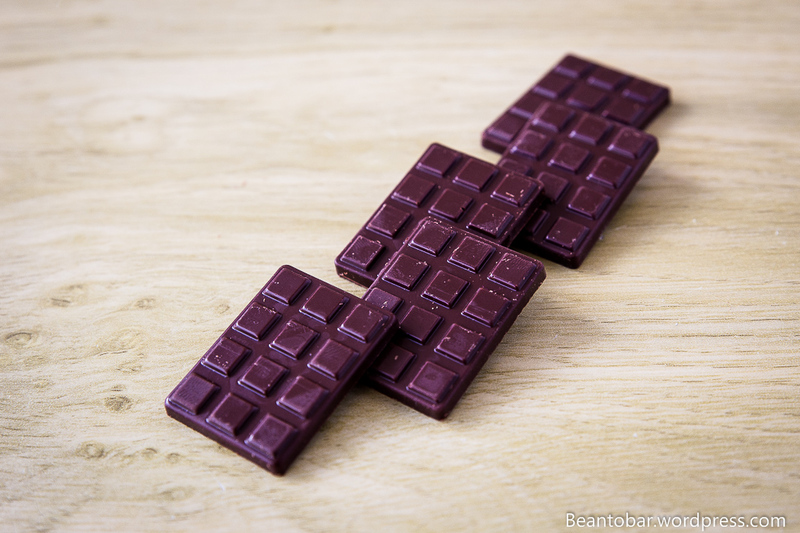 The little rectangular chocolate pieces are just perfect to get the best out of the chocolate. Though the package doesn’t allow you to re-wrap the bar after tasting. Taste: the chocolate creates a slightly dry start, but then slowly develops lots of raw cacao tones. Slightly astringent on the tongue, earthy and powerful, reminding me of biting in a cacao bean. A gentle sweetness softens the first strong flavors down and reveals delicate roasted almonds and faint yellow fruits, before dark flavors return. Tannins come back in full force – for a moment I noticed grapefruit like acidity – and finally the chocolate draws all your senses to the aftertaste. Dry in nature, full of the strong earthy aromas with a delicate, sweet smoky undertone. But certainly you’ll also note the rich, full-bodied dark chocolate taste as well! This is truly a dark chocolate. Pretty intense for a 72% bar, in fact it feels much closer to the 80 to 90% range. It bites you in the tongue and grabs your attention with its powerful notes. Not a bar that will be enjoyed by everyone, but this chocolate once more show there can be numerous faces to a piece of brown gold. 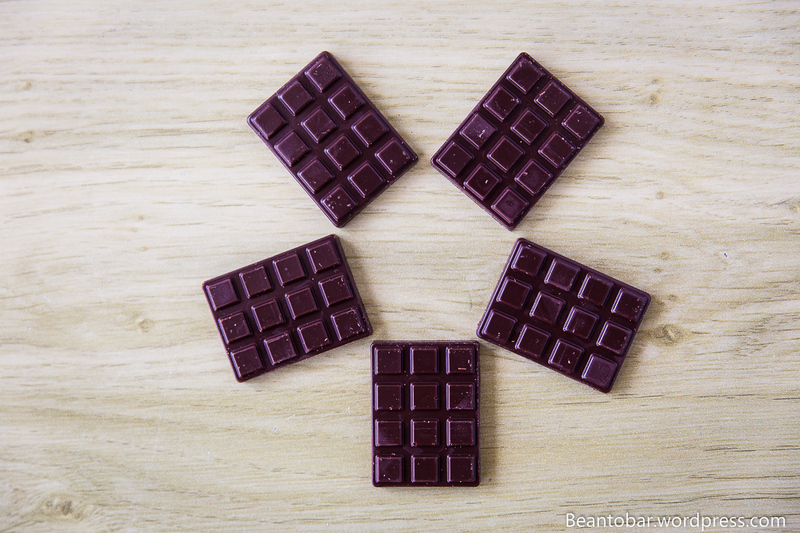 Ara certainly achieves chocolate bars with very distinct flavor profiles, homing in on the aromas of an origin!